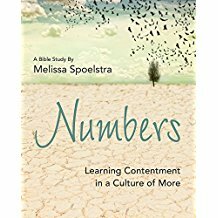 The Thursday morning Women's Bible study will begin a new study, Numbers Learning Contentment in a Culture of More by Melissa Spoelstra. In this study, "we will learn contentment as we discover more of our incredible God who truly is more than enough. Only God can fill that ache inside and help us focus on his provision and purpose in the midst of life’s joys and pains." The study begins January 11, 2018 at 10:00 in room 301C. Connect with other women from CPC by joining the Connecting Women Facebook group! A Women's Place; A Christian Vision for Your Calling in the Office, the Home and the World, by Katelyn Beaty. "Starting with the Bible's approach to work, Beaty shows how women's roles in Western society have changed; how the work-home divide came to exist; and how the Bible offers models of women in leadership...Far from insisting the women must work outside the home, Beaty urges all believers into a better framework for imagining career, ambition and calling. Whether caring for children, running a home or a business, or working full time, all readers will be inspired to live in a way that glorifies God." Contact Wendy Duncan (cedirector@clemmonspresbyterian.org) for more information.